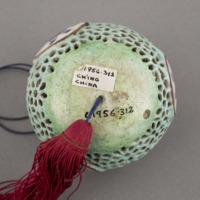 One glazed pale green globular reticulated ceramic cicada cage. 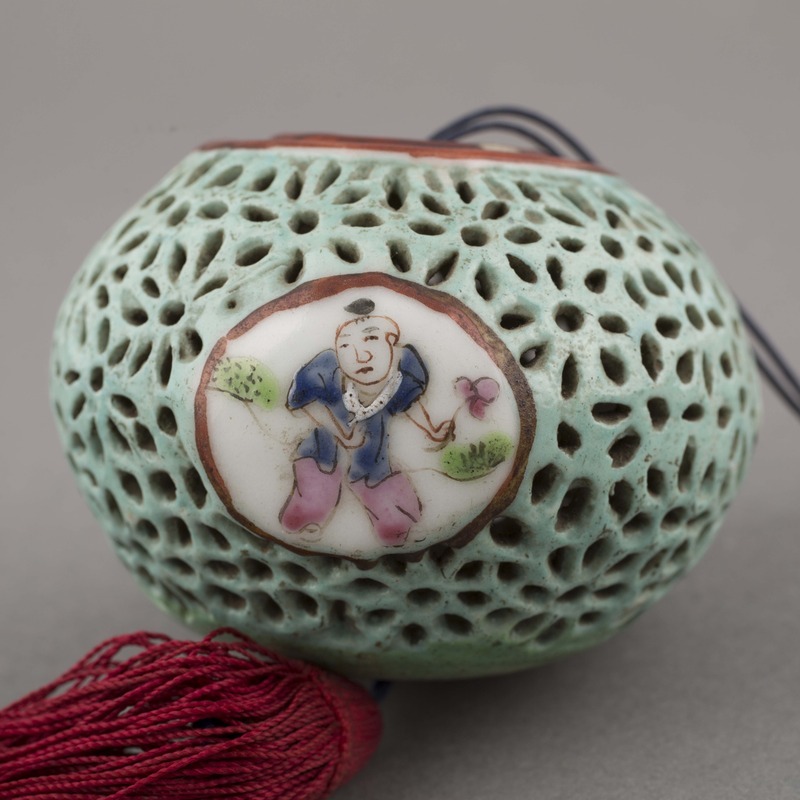 Exterior embellished with three equidistantly spaced badges illustrating multi-coloured figures in garden landscapes. 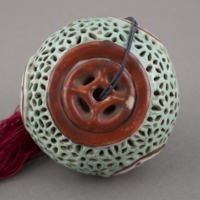 Red-brown glazed cap. Vessel body threaded through with blue string terminating in a small metal bead and ring at one end and a red tassel at the other. 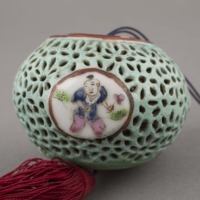 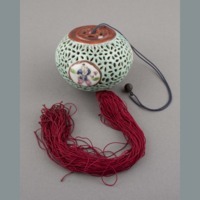 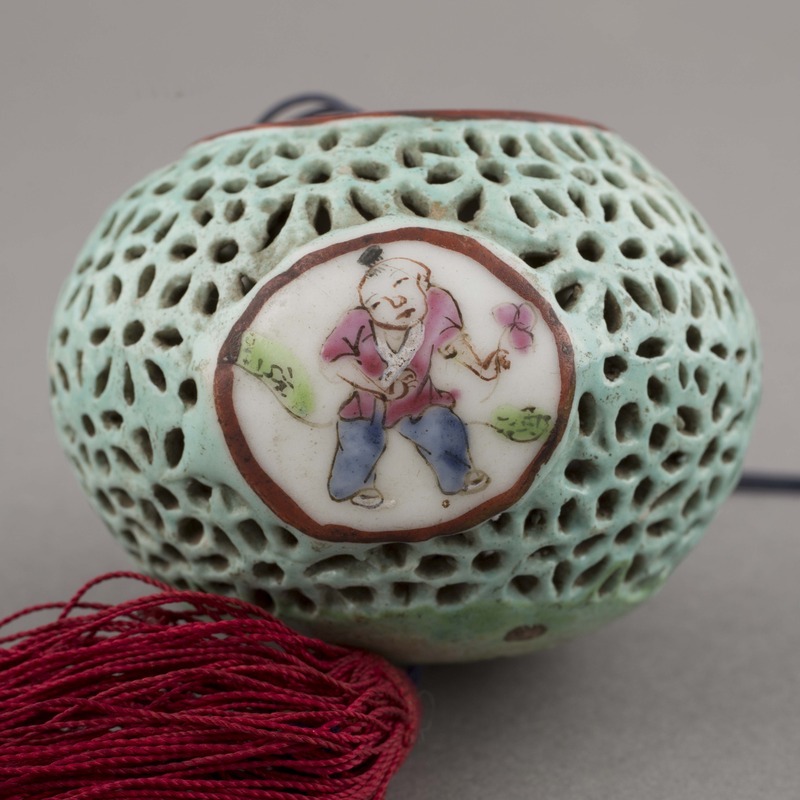 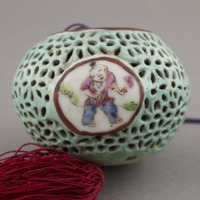 “Ceramic: cicada cage,” China, Art and Cultural Diplomacy, accessed April 22, 2019, http://rewialleyart.nz/items/show/1145.